"This is Hazel :). She is a 3-month-old Lab / Shepherd / Husky mix puppy. I got her from a local rescue after having no luck at any shelters. But really, I couldn't be happier! She is very intelligent and I'm not just saying that because she’s my dog, but really, she keeps you on your toes and is always willing to learn something new. For the most part, I believe she is balanced. She has never been aggressive toward me, never pulls on her leash, and waits for me to say ’OK’ when it’s time for her to eat. Hopefully things stay that way! 30+ minute walks seem to do the trick." "I love watching the Dog Whisperer and picking up the do's and don’ts I have learned throughout the show. So far, I have done a few things that he has advised such as walking through the door before her, eating before her, not letting her pull the leash, and not praising her when she has a seizure of excitement once I get home." "I took this picture once I walked into my room after a nice, soothing shower at night expecting Hazel to be sound asleep. Which she was, but apparently she had a little fun before she passed out with some paper towels that had been within her reach." 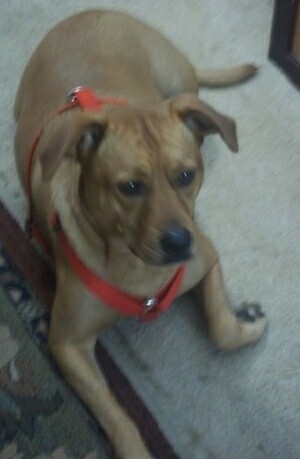 "Clemson the Rhodesian Ridgeback / Pit bull / Shar Pei mix at 4 years old—she is very energetic, but we have trouble giving her all the exercise she needs. She loves bones and hates showers." 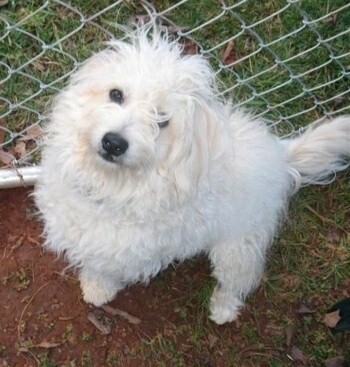 This is Caesar the Bishon Frise / Pomeranian / Coton de Tulear at 9 months old. "My hybrid is from a Golden Retriever father and Hovawart mother. 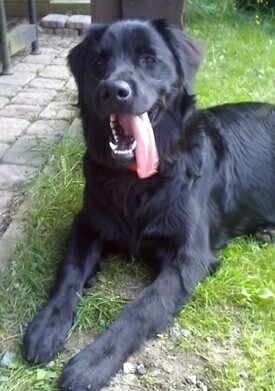 I call him a ’Black Forest Retriever.’"
"His name is MoJo and he is 8 months old. His coloring is pure black with tinges of beet red around the ears and mane. This gives him a devilish look. 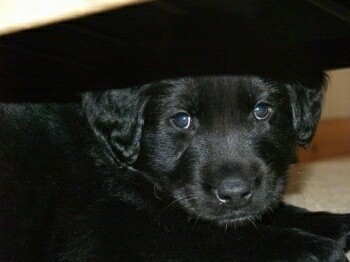 I have attached a recent photo, as well as his puppy photo to show the characteristics." "He has the playfulness of the Golden along with the guard dog instincts of the Hovawart. He is a very good mountain dog; hiking and swimming are his favourite pastimes. In winter he goes cross-country skiing. He is very playful outdoors and very calm and quiet in the house." "I have trained him to walk on a loose leash using techniques I learned from Cesar Milan and others. This dog loves to learn things, and is very willing to please his owner. He is friendly to children and other dogs. He is tops in agility but does not yet dive from a dock into the water. He is still a puppy." "He never wanders far from his keepers and he can stay outside the house, just lying on the front lawn. He is very wise for his age. He can find us by using only his nose." 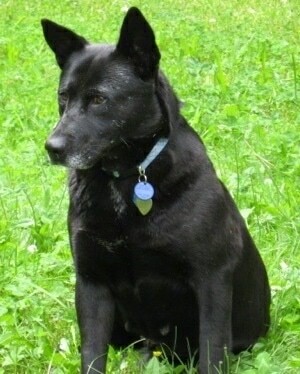 "He is the best of both breeds and I would never get a purebred again after knowing him." "This is Indie, our recent adoptee. She has had a horrible past, and we've had her for one week. I am responsible for her care mainly, which is good as she has bonded with me quite quickly. She is getting better with my husband slowly. She is doing wonderfully on walks, with the exception of passing very loud vehicles. I'm not sure how to correct her shrinking and pulling back in fear, other than a tug on the leash and telling her ’come’ and get her to walk beside me again." "I am reading ‘Cesar's Way’ and correcting my own behavior. Indie, I feel, is very responsive to me being alpha; she knows I go in and out doors first and she knows to walk beside or behind me. I'm now working on letting her know I tell her where to sniff/pee. She waits for me to tell her ’come’ from our backyard." "This is my beautiful Bess. She is 15 months old on the photo. 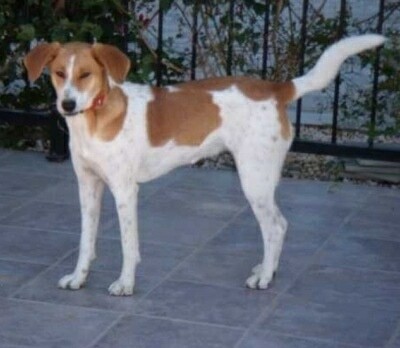 She is a cross between a Beagle and Husky and was born in Cyprus, where we live. She is very intelligent and loving. She loves to play, run and swim as well as a good sleep! Bess has survived a poisoning and more recently a snake bite from a blunt-nosed viper! She must have nine lives and think she is a cat!" "She is my girl and I love her to pieces. She is my first dog as I grew up with cats but I am now a true doggie person. There are quite a lot of Huskies in Cyprus although it gets very hot here. We do have snow in the winter up in the mountains and Bess has played in the snow and loved it." "This is Chet. He is about nine months old in this picture. He's a Collie / Lab / German Shepherd / Pit Bull / Rottie mix. He is a big teddy bear. He gets along great with kids and other animals alike. 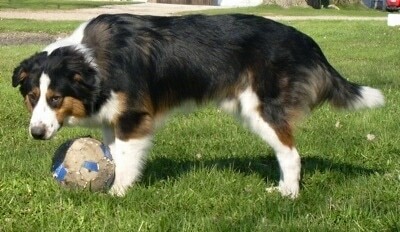 He loves to play with his soccer ball and will retrieve just about anything. His favorite thing to play with though, is his Dachshund / Min Pin buddy. 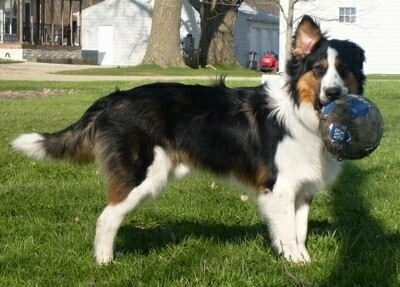 He was the only pup in the litter that had all the beautiful Collie markings. You would never know he has Rottie or Pit Bull in him. He was a great choice to make as a family pet." 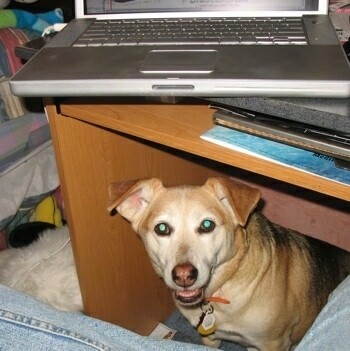 "This is Cas, a Corgi x Beagle mix, at 9 years old. She is very laid back with the people she knows very well (ex: family, people that have been over the house many times, neighbors). 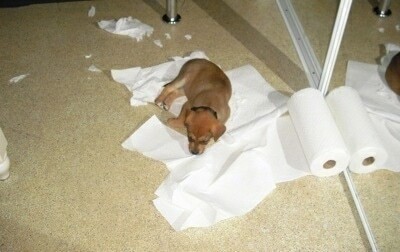 Even when she was a puppy, she never chewed anything besides her own toys. We rescued her when she was 6 months old. She is a little shy with new people and other dogs, but after a few minutes she warms up to them and has no problems. Cas would rather be on a walk than in the yard. She is very smart and picks up on things easily. As she has gotten older, she is very set in her routines and likes to follow them."